V Botanical Spa offers unique treatments and experiences, such as our signature Kahuna Wave Massage as well as yoga and meditation classes. 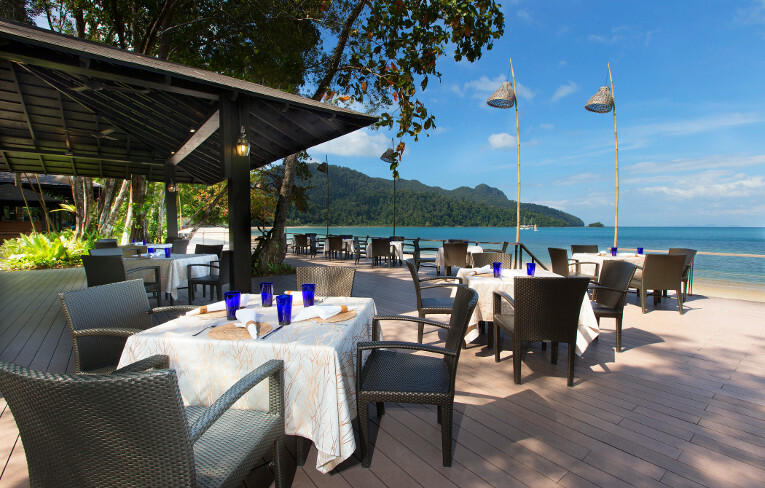 Enjoy a relaxing lunch beneath the shaded rainforest while enjoying the view of the Andaman Sea at the Tepian Laut. 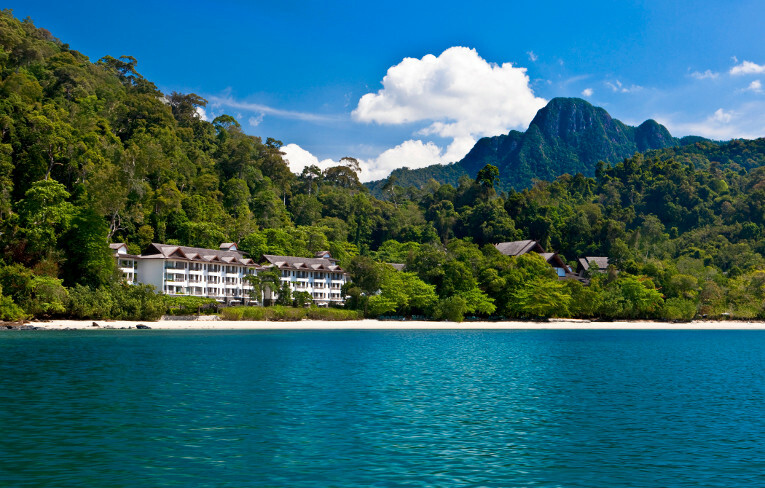 Treks through the pristine rainforest that blankets most of Langkawi are easily arranged, and prove a once in a lifetime experience for our guests. 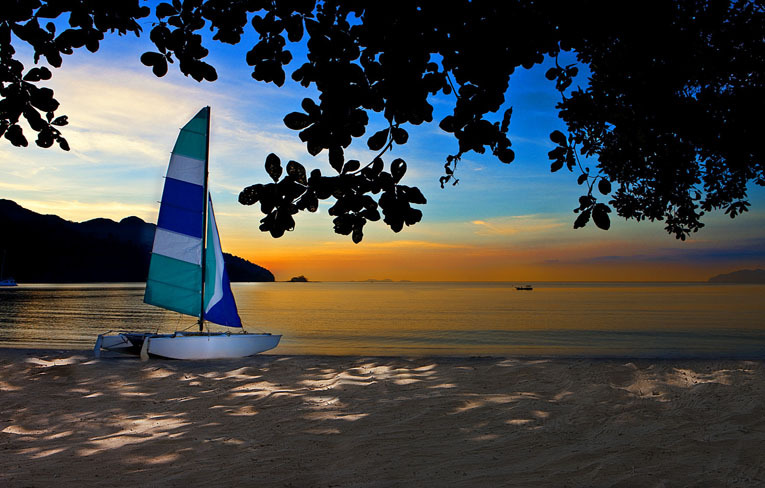 Explore the waters surrounding the islands of Langkawi on a twin-deck catamaran measuring 55 feet by 30 feet. 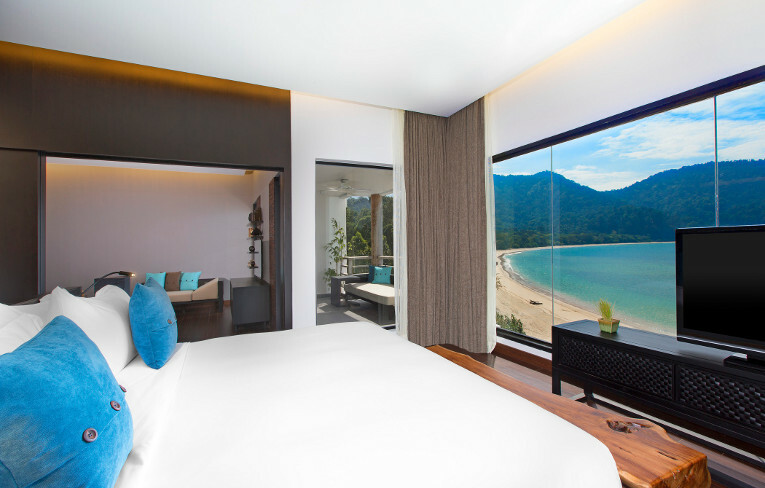 The Andaman, a Luxury Collection Resort located in an idyllic tropical setting on Malaysia's Langkawi Island, is cosily tucked away between a 10 million year old rainforest and the tranquil Datai Bay and a 8,000 year old fringing coral reef. Abundant with rare wildlife and exotic flora, The Andaman's magnificent locale enables guests to partake in a wide range of activities that integrate the surrounding nature while still enjoying the luxurious trimmings of a five star resort. 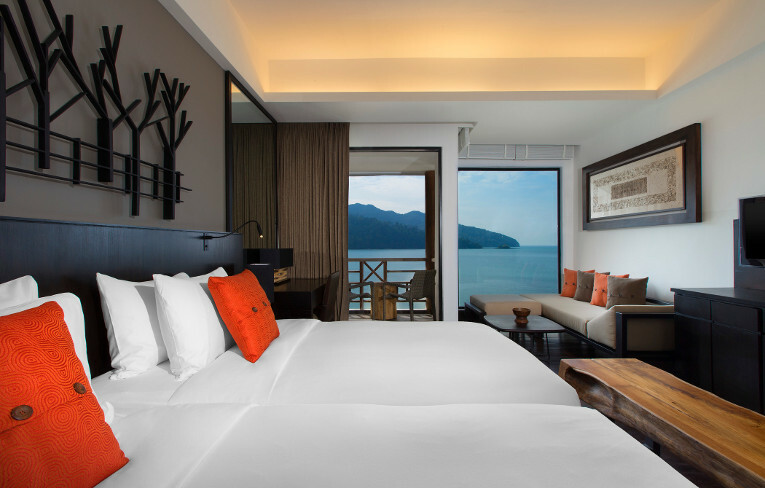 The 178 exquisite rooms and well appointed suites reflect a contemporary Malaysian style, with sweeping views over the Andaman Sea and ancient rainforest. 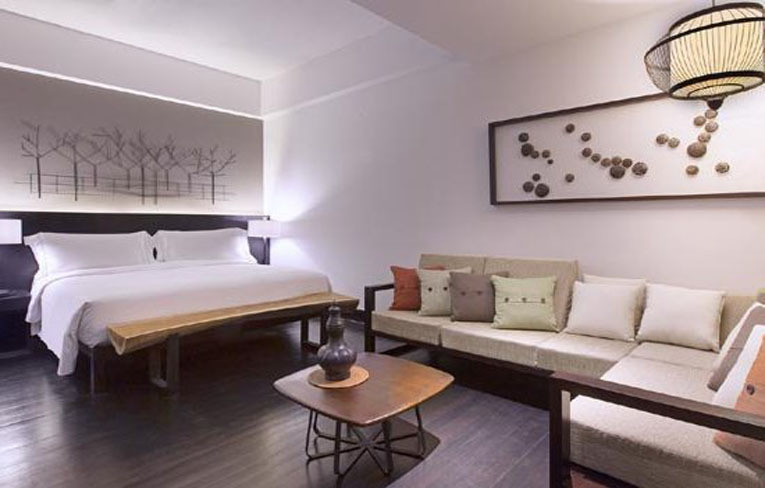 Smooth dark wooden floorboards welcome guests into 43-square-metre Deluxe Rooms, where images of nature frame a plush Luxury Collection bed wrapped in 300-thread-count linens. Unwind from the day's adventures by reclining on the L-shaped sofa with accompanying coffee table. Steps away, a balcony offers captivating views. 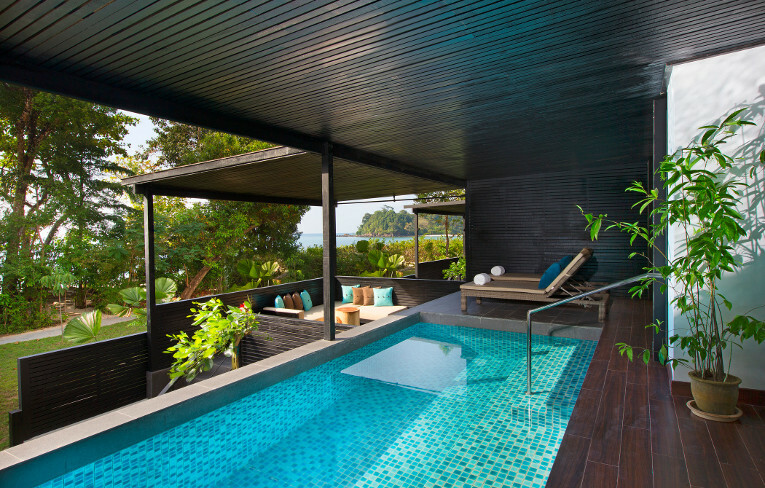 Deluxe Rainforest and Deluxe Treetop Rooms each house a step-out balcony with views of the lush tropical rainforest, while Luxury Seaview Rooms boast a similar balcony overlooking the aquamarine Andaman Sea. 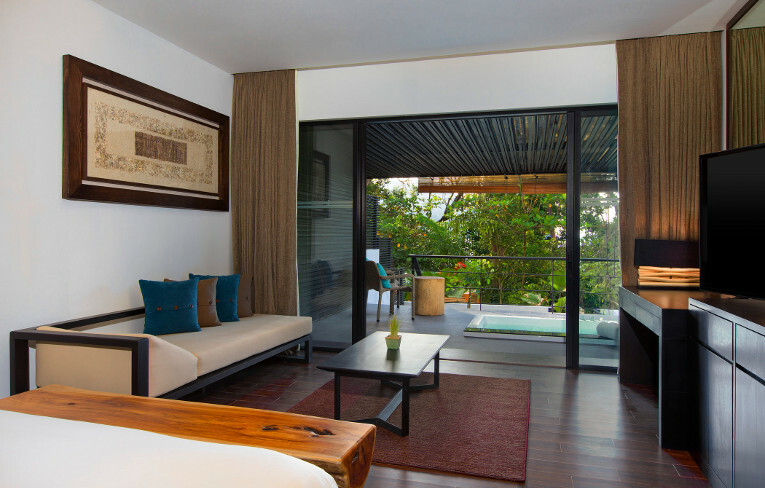 For the epitome of contemporary, high style living, The Andaman?s Executive Suites offers 86 sq. m. of private space, well suited for romantic holidays and honeymoons. 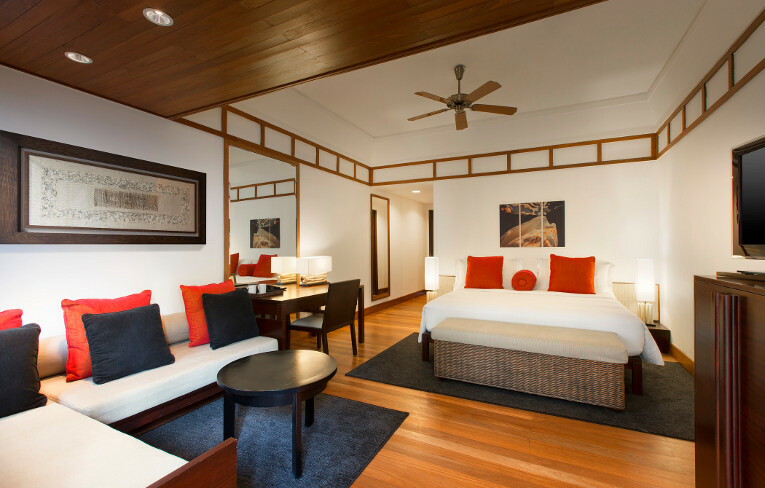 Inside the suite, guests can relish rich teak furnishings amid a chic modern setting and state-of-the-art entertainment options. The rainforest shower, free-standing bathtub, separate water closet, dualvanities, dressing area and complimentary minibar further ensure complete comfort and convenience. Taking full advantage of The Andaman's magnificent locale, the myriad activities on offer are designed to expose guests to all the beauty and wonder of the area through guided nature hikes, non-motorised water sports, and unforgettable tours to the island's not-to-be missed destinations. The Els Club Teluk Datai known as one of the world's most captivating golf courses was redesigned by former World No.1, four times major winner and recent Open Champion, Ernie Els - also known as 'The Big Easy'. This 18 hole par 72 bunkerless championship course meanders its way through a 10 million year old rainforest, cascading down to the turquoise water of the Andaman Sea and is located only a mere 4 minute drive from The Andaman, a Luxury Collection Resort Langkawi. V Integrated Wellness is a high quality whole person approach in spa and wellness, holistic therapies, beauty treatments, fitness classes, healthy cuisine, educational and lifestyle workshops and retreats for your mind, body and soul. We strive to help guests cultivate their life force (CHI) and attain wellness at all levels; inspiring and educating for a more conscious way of living. V Integrated Wellness provides innovative and integrative tools to support healing, rejuvenation and learning for long term health. 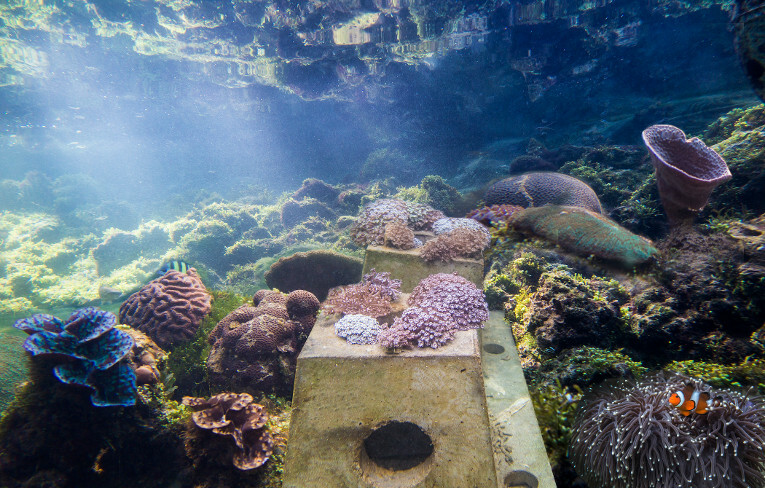 Explore The Andaman's Coral Nursery that allows guests to learn more about our Coral Reef, and participate in a range of activities offered at the resort, including the opportunity to transplant your very own coral colony, or get "up close and personal" with our Private Guided Snorkel experience. The recently opened Marine Life Laboratory is a fully functioning indoor laboratory for academic research while facilitating great guest experiences. The Andaman also has four unique dining venues that entwine gourmet cuisine with indigenous flavor. Combined with sumptuous surroundings, a unique culinary experience will be enjoyed with every dish. A buffet breakfast and an a la carte menu are available at the all-day dining The Restaurant. International dishes and traditional Malay favorites are offered at Tepian Laut, and Japanese specialties at the Japanese Restaurant. Guests can sample Malay- and scandinavian Western fusion dishes at Jala and have refreshing cocktails and light snacks at the Beach Bar and Jentayu Lounge. 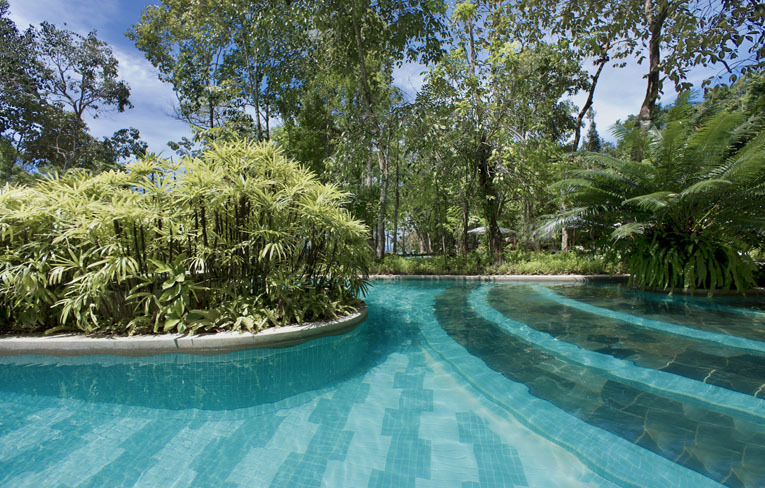 The Andaman's lagoon-style swimming pool is conveniently located alongside the beach. Soaring rainforest trees, a waterslide for the young and young at heart and the ever-popular wading section for toddlers work in symphony to provide an unforgettable poolside experience.